BRITS take six months to fall in love with a person, but FAR less to fall for their pet, according to a new study. As all single people know, finding ‘the one’ is hard. But if you’re struggling to make a meaningful connection with another human being, consider getting a furry friend instead. New research shows that it takes just 30 minutes to fall in love with a dog, compared to six months with a partner. 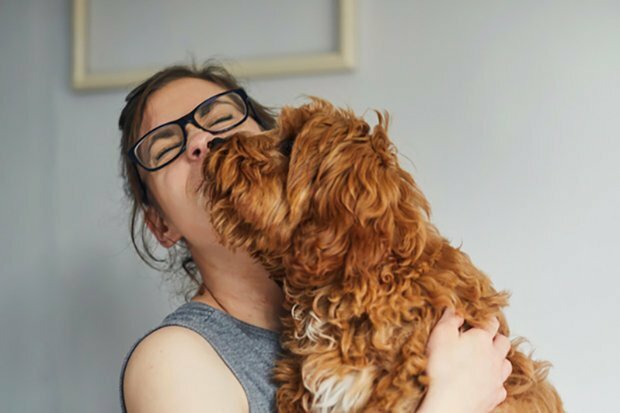 A survey of the nation’s dog owners by Agria Pet insurance showed more than half (56 percent) believed they felt true love for their new pet within half an hour of adopting them. In contrast, the majortity of respondents said it had taken up to six months to decide their other half was ‘the one’. Four in ten (40 percent) of those surveyed said they would describe the moment they met their animal as love at first sight, but only 16 percent could say the same about their other half. And unlike fickle humans, our relationships with dogs are more likely to go the distance so Carolyn recommends making a canine commitment carefully. “Each different breed and type of dog has different requirements and so you must select a dog whose needs you can meet.